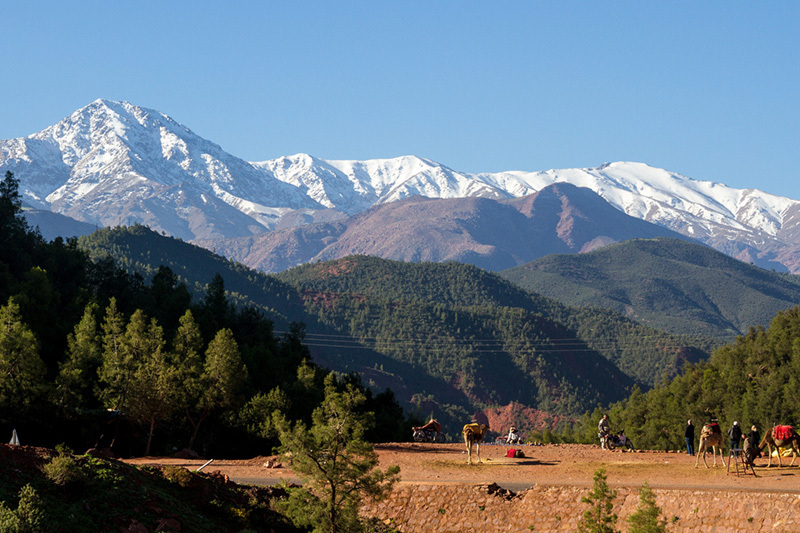 Atlas Mountains are the largest mountain chain in Africa. Even more, It works as a divider between the coastal regions of Morocco and the desert interiors. Furthermore, The Atlas Mountains range passes through Morocco, Algeria, and Tunisia and stretches to the extent of 2,400 kilometers. Jbel Toubkal is the highest mountain peak with height of 13,671 ft, and is located in southwestern Morocco. The second highest peak is M’Goun with the height of 13,356 ft. Above all, Atlas Mountains ranges are divided into separate ranges, including the Middle Atlas, High Atlas, and Anti-Atlas. 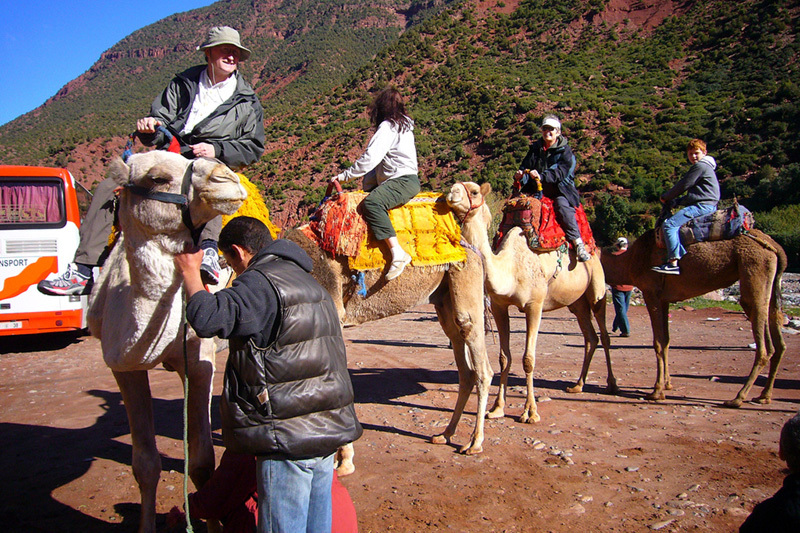 Consequently, Atlas Mountains are a perfect place for people who love hiking and mountain climbing. The spectacular landscapes, magnificent rock formations, and gorgeous river valleys will surely leave you spell bound. The tranquility and serenity of the place makes it a perfect destination for refreshing and rejuvenating holiday. The breathtaking natural beauty of the Atlas, will surely enchant you. 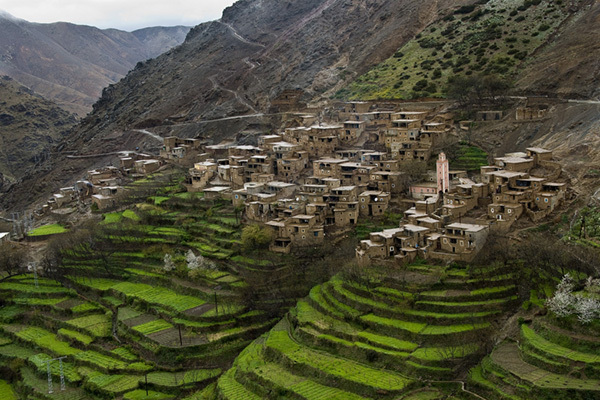 The life in High Atlas is untouched with modernity. 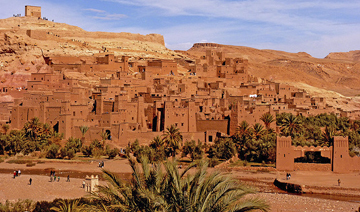 Consequently, Berber tribes have preserved the traditions and customs of the ancient Morocco. 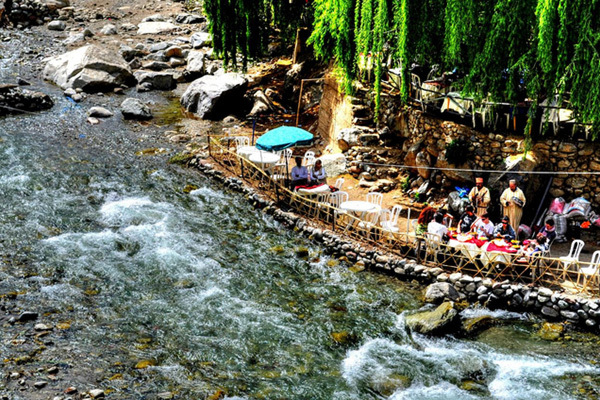 If the Ourika Valley excursion itinerary that we offer does not match what you're looking for, contact us and we will prepare the trip to your needs and requirements. 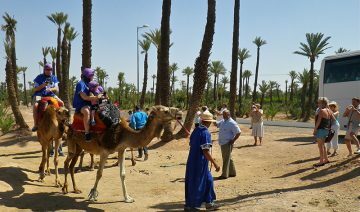 Begin with a pickup around 9 am from your accommodation in Marrakech and head in the direction of the Atlas Mountains. 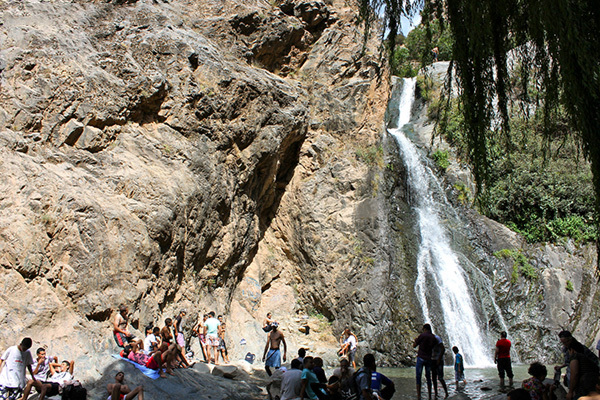 Your driver and vehicle will take you through the wonderful sights of the Ourika valley, in the Atlas mountains. First stop will be a visit to a traditional Moroccan house, learning about the lives of indigenous Morrocan village people, including traditional Berber cuisine. Experience stunning views of the village and valley from the roof of the house. The lady of the house will conduct a tea ceremony and demonstrate how to make mint tea, which will be served with a traditional country breakfast (bread, butter, honey, olive oil and tea). 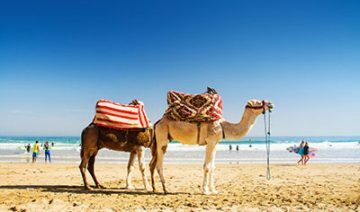 After leaving the Berber village, you will explore further down the valley, stopping for an optional 20-minute camel ride, if you choose. 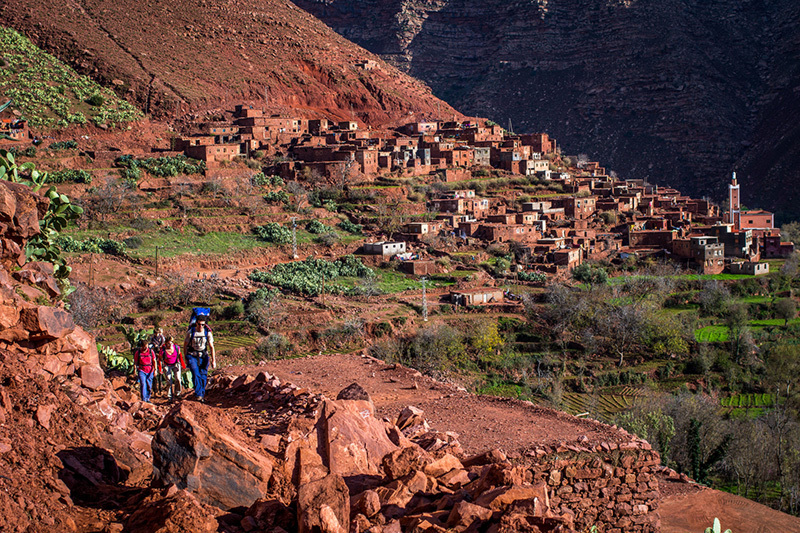 Continuing on further into the Atlas mountains, pass through and stop off in some typical Berber villages to experience everyday life in this region. Then continue onto Setti Fatma, which marks the end of the Tarmac road. Once here, you get off and have lunch in a local restaurant before you set off for another 60-minute walk to visit some of the waterfalls. 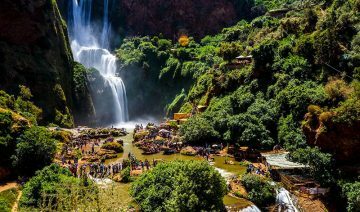 After the visit to the waterfalls, you then get back to the car and make your journey back to Marrakech, arriving around 5 pm.